Pretty much everyone involved with the industry would agree that measuring performance in the contact center is the key to ensuring productivity and continuous improvement. 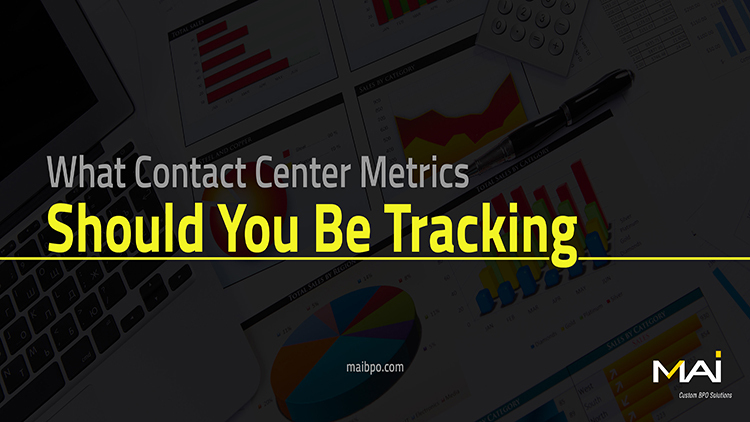 What there tends to be disagreement about, however, is which contact center metrics are most important. Most companies establish a set of Key Performance Indicators (KPIs) that are used to assess individual agents and subsequently aid in the growth of the company. Once you identify the KPIs that you want to implement, have a clear understanding and definition of them. Explain the purpose and mode of evaluation of each KPI to each and every team member. Set quantitative targets for agents and build in reasonable qualitative measurements as well. Define methods and paths that require to be executed to achieve the set goals. Provide specific training geared toward helping employees meet and exceed goals. Understand the method of procuring the data necessary for evaluation and establish acceptable performance levels. Set a definite plan of action for times when performance falls short. The key aim of a contact center is to provide service to customers. Hence, the level of customer satisfaction is crucial. The following KPIs are essential to assessing the level of customer satisfaction being achieved. First Call Resolution – Are agents able to resolve customer issues on the first call without having to escalate, transfer or revert? This KPI is intended to measure efficiency of solving issues in the shortest span of time. Average Wait Time – How long does it take for an agent to address a customer issue? Keeping customers waiting is a fast way to lose their loyalty and business. Percentage Blocked Calls – What percentage of customers calling have received a busy tone upon calling and have not been able to connect to an agent? Self-Service – Customers often resolve their issues without having to connect with an agent. This metric helps companies understand the number of customers who are utilizing the self-service facilities. Average Abandon Rate – How many customers hang up before their call is answered by an agent? The average abandonment rate is about 5-8%. Average Speed of Answer – As the name suggests, how long does it take for an agent or the Automatic Call Distributor to answer calls? Forecast Accuracy – Most companies have peak call volume times and it is crucial to monitor and staff for them appropriately. It ensures that in peak hours you are not under staffed and that customer service does not suffer. There are several tools to measure KPIs consistently. Assess the KPIs you want to implement and consequently gain an understanding of what tools the contact center will use to measure the indices required for the metrics. Such tools may include real-time metrics dashboard for agents and managers, call monitoring, workforce management software, etc. Also ensure that your contact center agents are focused on customer satisfaction and motivated to work towards the growth your business. If agents aren’t satisfied with their jobs, there is a huge chance it will reflect in their work ethics. Just as you measure customer satisfaction, agent job satisfaction also needs to be regularly monitored and kept under check. Simply put, happy agents will translate into happier (and more loyal) customers!